What you are less likely to know him for, however, is his fondness for selfies – something that even his family members were surprised to discover. Frank Sinatra took a selfie on the stairs at his Hoboken, New Jersey apartment in 1938. 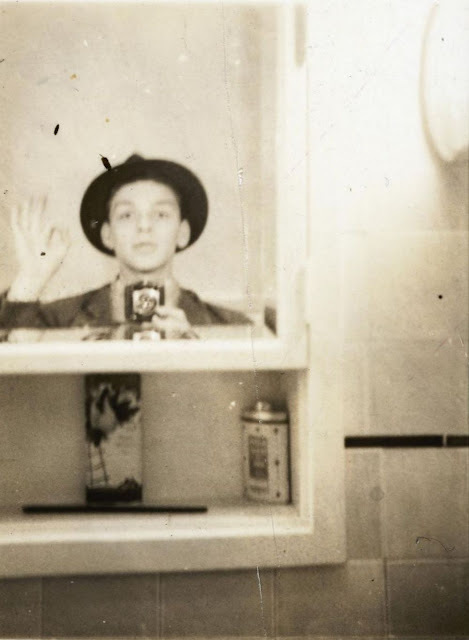 When Sinatra’s granddaughter, Amanda Erlinger, began archiving the vast collection of vintage family photographs belonging to her grandmother, Nancy Sinatra Senior, she came across a self-portrait the singer had captured in his bathroom mirror in 1938. “He took a selfie!” she cried out to Nancy Sr., who stared back blankly, utterly perplexed by the modern terminology. As it turned out, her husband had taken an abundance of selfies over his formative years. A 23-year-old Frank, in 1938, flawlessly perfecting the bathroom selfie with just cool style and a coy smile. 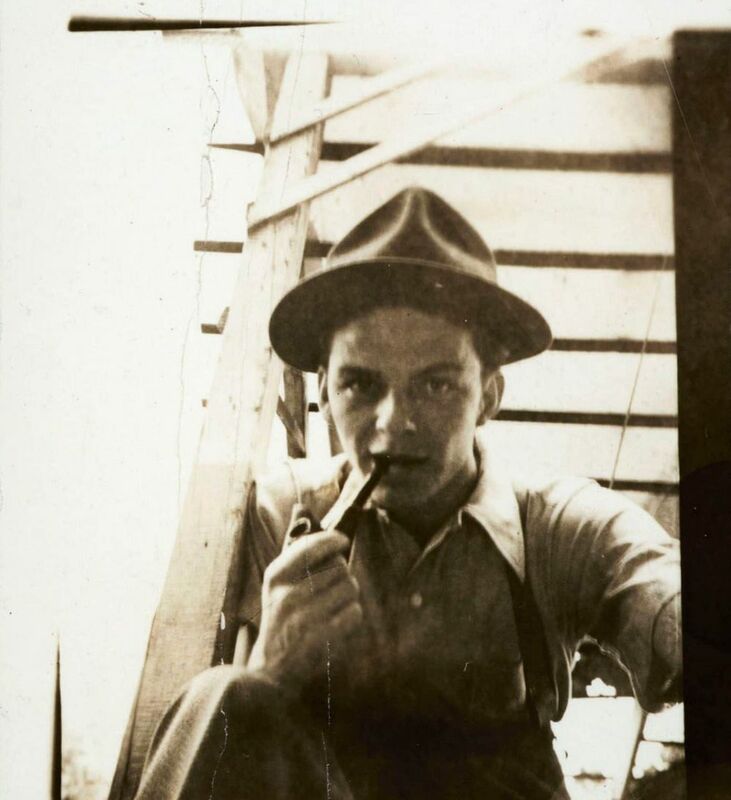 On Dec. 12, 1915, Francis Albert Sinatra was born in a tenement in New Jersey, the son of Italian immigrants Natalina Garaventa and Antonino Sinatra. His delivery was rough, leaving him with a perforated eardrum and scarring on his neck, cheek and ear. As a young child, his parents ran an illegal tavern (which was ignored by local authorities) where he would occasionally sing for pocket change. Sinatra listened to the radio constantly, developing his voice and trying to emulate his idol, Bing Crosby. Though his parents recognized his vocal talents, they encouraged him to find traditional employment, especially after he was expelled from high school for “general rowdiness.” While working small jobs and taking vocal lessons, he continued singing in small venues around New Jersey and New York. It was not until 1935 that he finally got his first big break as the lead singer — and heartthrob — of local quartet The Hoboken Four.